Programs #CAUGHTREADING AuthorBookings.com Dragonfly Book Contests Student Writers Wanted! Just for Kids School Express Press Story Monster on the Road Story Monsters Approved! Give Your Book a Boost! Book Briefs — The place to keep up with the latest news, interviews, and happenings at Story Monsters. Congratulations to our newest approved authors! 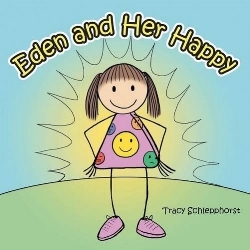 One day Eden wakes up and thinks her Happy is gone. Her emotions take over as she searches in all of the wrong places for her Happy. You will never guess where she finally finds it! Children's Picture/Story Book about a little bear that doesn't give up on achieving his goals. Sail into adventure with Greenbeard the guinea pig pirate as Snug Rumkin, Greenbeard's ratty first mate, tries to teach him how to be a "proper" pirate! By the end of the book the reader has not only enjoyed getting to know an adorable monster, but also learns the secret behind the monster. In this short story, Tobey shares with his readers some of his greatest adventures that happened in his first year of life. Charlie Sparrow is the only bird in Tree City who can fly, but Mayor Peck insists he's faking it. When Charlie learns of a book proving the truth about flight, he leaves Tree City to find it, facing a sharp-beaked thug and a den of mythical bird-eating creatures with claws and whiskers. When a mysterious drawing binder appears on thirteen-year-old Nate Smith’s windowsill, he starts having visions—and drawing them. Strange creatures come for his work, launching him on a space adventure to learn the alien art of making. Henry learns the importance of manners when he wakes up one morning without them. Follow Henry as he goes through his day and watch his manners try to catch him. During a long morning of sledding, Chloe's younger brother encounters a gasoline spill near the school. Chloe enlists Gillian and Elan to evaluate the spill and help clean it up before it endangers their friends and neighbors. Can the engirlneers combine their different skills to clean up the spill before it's too late? Follow Eden through the untimely loss of her dad. Watch her emotions and the emotions of those she loves. Experience the return of her happy as she realizes that the love of her dad is a forever love. This magical children’s story can be read as a simple tale of a beautiful young unicorn in an enchanted wood. She has a rainbow-colored horn like a freshly made ice cream cone and a soft white coat. When she loses her precious mama, she has to find a way to overcome her fears. This charming book for youngsters can be read on two levels. It is a simple story about a young unicorn who has lost her mama and is trying to find her. On another level, this book can be used as a tool to help children who have been affected by the loss of a loved one. To make the works of Shakespeare accessible to all ages and levels of education, Cass Foster combines his experience as a professor emeritus of theatre, fight choreographer, and stage director to provide the Sixty-Minute Shakespeare series. Foster’s renditions of the timeless tales are not adaptations, but rather judiciously condensed versions of the Bard's classics. Is your book Story Monsters Approved? Enter today! teachers, librarians, and parents they are giving children the very best. Once, Debbie Wideroe awoke from an especially vivid dream and jotted down “The Adventures of Camellia N.” on the notepad she keeps next to her bed. It didn’t mean much to her at the time, but she couldn’t shake the feeling that those words had significance. “I couldn’t get rid of it,” says Wideroe. “Then, literally, one day it took over and I instantly knew what I wanted to do.” That’s how Wideroe’s popular The Adventures of Camellia N. series came to be. 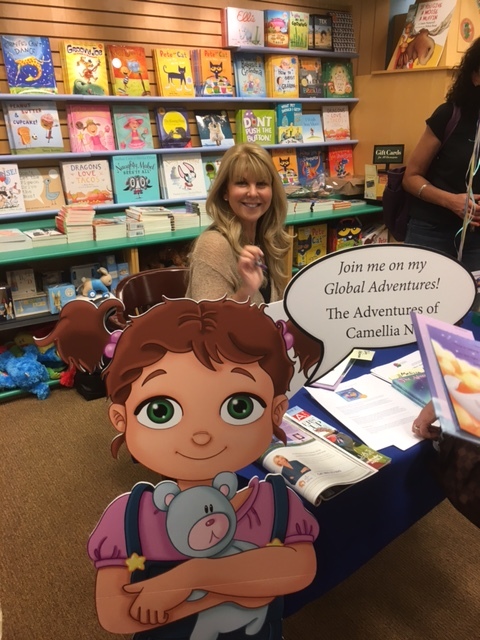 Published by Notable Kids Publishing, she’s already released the first two books of a planned set of nine, drafted with the hope that reading about Camellia’s magical experiences all over the globe will help children develop a deeper appreciation for our planet. Growing up, Wideroe was strongly influenced by her father, a fervent believer in sustainability before the term became widely used. “I grew up with the idea of reuse, recycle, repurpose,” she says. “I developed an innate sensibility of taking care of the earth without even thinking about it.” Wideroe started writing at age six and never stopped, compiling journals and poetry in addition to magazine columns and stories. Her eco-conscious upbringing and way with words set the stage for her future as a children’s author of environmentally-themed books. However, children’s literature wasn’t the first step in her career. Instead, Wideroe did stints in children’s television, marketing, and teaching. “While I was at Harvard University for graduate school, I was lucky enough to study under Dr. Gerry Lesser, one of the creators of Sesame Street,” she says. She went on to be in charge of marketing for Warner Brothers’ Baby Looney Tunes and other animated properties. And although she didn’t set out to become a teacher, she’s taught advertising and marketing at Pepperdine University for nearly 20 years. “It just kind of happened,” she says. The first two books in Wideroe’s series are The Arctic (the first-place winner of a Royal Dragonfly Book Award in the Green/Environmental category) and Under the Sea. The third book in the series, detailing Camellia’s trip to the Amazon rainforest, is due out this fall. “In 2020, when the Olympics happen in Asia, will be a perfect time to launch the book,” Wideroe says. Check out more stories like this in the June issue of Story Monsters Ink! The Literary Resource for Teachers and Librarians. The Marketing Solution for Authors and Publishers. Home to the award-winning Story Monsters Ink® magazine, we support authors of all stages through a host of publishing and marketing programs and services. Get started now. and we will send you a free digital issue of Story Monsters Ink. Copyright ©2019 Story Monsters LLC. All rights reserved. Powered by Story Monsters LLC.